The Lee tangerine is round and slightly flattened at each end, measuring an average of 7 centimeters in diameter. The rind is a pale orange with occasional green spots and will deepen to a dark orange after maturity. The leathery skin is thin and filled with volatile oils and clings to its flesh, making it somewhat difficult to peel. The flesh is seedy, sweet-tart, and juicy. Lee tangerines are available in the early winter through the early spring. 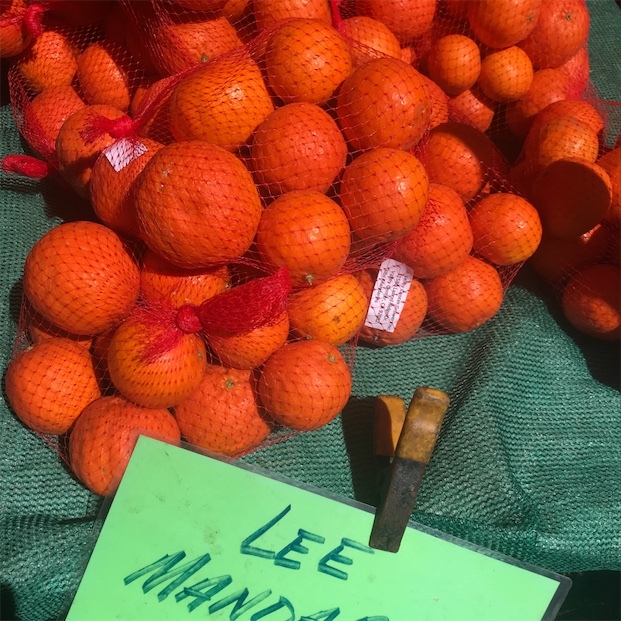 The Lee tangerine, botanically classified as Citrus reticulata, is a hybrid of the clementine mandarin and the Orlando tangelo making it three-quarters tangerine and one-quarter pomelo. The Lee tangerine is not a successful commercial variety, but it is commonly used in breeding programs as a parent variety. Lee tangerines are an excellent source of vitamin C, folate and dietary fiber. They also contain vitamin A, potassium, calcium, magnesium and B-complex vitamins. Lee tangerines are a good source of antioxidants in the form of flavonoids and polyphenols. Lee tangerines may be used both fresh and in cooked applications. Add to green or fruit salads or use in fresh salsas or desserts. The seedy variety is ideal for juicing. The juice and zest can be used in beverages, syrups, marinades, marmalade, and curds. Pair with fresh herbs, honey, aged cheeses, peppery greens and other citrus. Keep Lee tangerines at room temperature for a few days, refrigerate for longer storage. The Lee tangerine is one of the few varieties to have survived the Florida citrus freeze of the 1980s. During the winter of 1989 around 90% of the citrus crops in Florida were annihilated. It was the second severe freeze in a decade and had a profound economic impact on the citrus industry in the state. The Lee tangerine was developed by botanists Gardner and Bellows in 1942, at the United States Department of Agriculture Laboratory in Orlando, Florida. It was released for commercial production in 1959. Today, it can be found growing in Florida and Southern California, and may be spotted at farmers markets in those areas. People have shared Lee Tangerines using the Specialty Produce app for iPhone and Android. 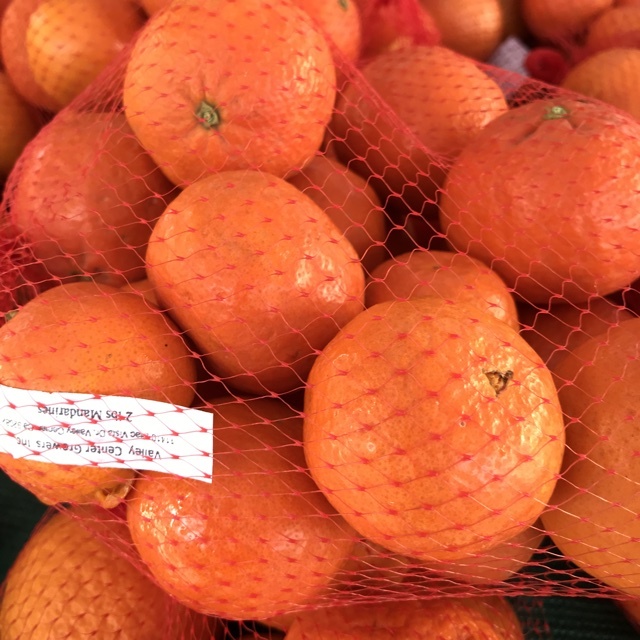 Sharer's comments : Lee Tangerines spotted at La Jolla Open Aire Market. Very nice quality. 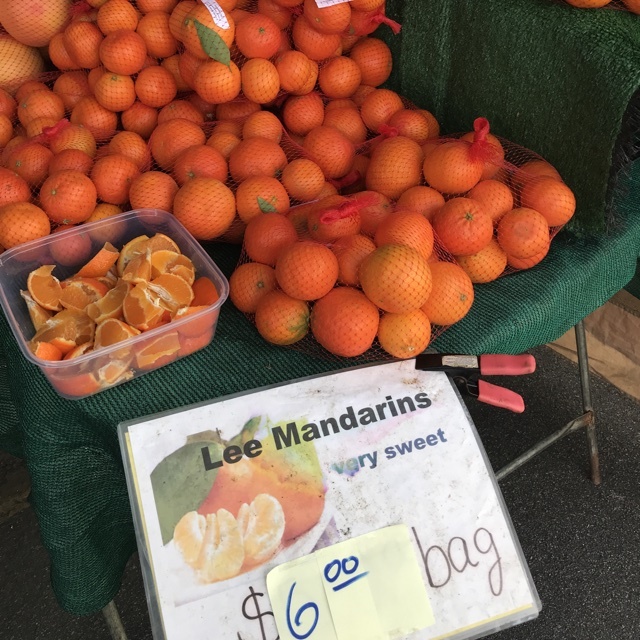 Sharer's comments : Lee Tangerines spotted at Hillcrest Farmers Market. Sharer's comments : Lee Tangerines spotted at First Alternative Natural Foods Co-Op.